For many years we have been waiting for a film based on one of the cornerstones of modern literature: Atlas Shrugged, by Ayn Rand. The film is based on her most famous novel that caused heavy philosophical debates in the late 1950s and created a philosophy called objectivism. Her philosophy is discussed widely until today and has influenced modern literature and thinking. This film will be the first attempt to translate this thinking to the general public. The book starts with the quote: “Who is John Galt” and this phrase is reiterated throughout the book several times. But who is John Galt? The film is based in a dystopic world where grief and despair rains and the economy of the United States is at the brink of a collapse. Dagny Taggart is a railroad executive who fights for her company and the forthcoming economic collapse that threatens the well-being of everyone. But what is happening to the world? Who is John Galt? Where do all the talented people go that used to run the world? Why is poverty taking over the country and why does everyone seem to fight against the railroad company? This film is expected to be a highlight of the year and will certainly reignite the philosophical debates in the Western world. Tagged book, film, philosophy. Bookmark the permalink. This will be an amazing film! 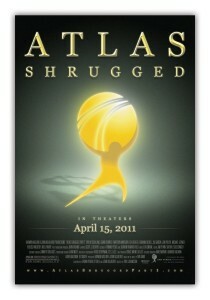 I have high expectations considering it is based on the world class novel by Ayn Rand. I am a huge film buff and I’ve just recently heard some great buzz about this film. Seeing as though it only has a limited release in the US for now, I am hopeful that it will get a wider release and come to Canada very soon so I can write a proper review! In the meantime, I’ve got some good reading ahead of me. I stick to my view that it is a fantastic read. If not for the philosophy, surely for the literary finesse she shows in her development of the characters. Hi! I want to say that this article is awesome, nice written and include almost all vital infos. I would like to peer more posts like this. Just wanted to express this website is extremely good. I want to hear something new concerning this because We have the same blog within my Country with this subject and this help´s me a lot. I did a search around the issue and found a great number of blogs but nothing beats this. Thank you for sharing a lot inside your blog..